TurboCAD Deluxe 2018 is een betaalbare en krachtige 2D/3D CAD toepassing, met honderden gereedschappen voor tekenen, wijzigen, maatvoering en annotaties. Ondersteunt veel bestandsformaten waaronder DWG, DXF, SKP en STL voor 3D printen en verloopt uitwisseling met AutoCAD en SketchUp probleemloos. Complete Set of 2D/3D Drafting, Design, and Modeling Tools - TurboCAD® employs a large selection of line, arc, curve, spline tools, and other expected tools, so that no matter the situation you’ve got access to the right tool for the job. When used with TurboCAD® snaps, modification tools, and drawing aids you will be able to quickly draft and document your designs. Context-Sensitive Help - Right-click to instantly access recently used tools, recently entered values, and a quick way to change or reset reference points. If a TurboCAD® tool is active, the context menu provides a contextual toolbar as well, with additional similar tools and functions. Advanced Handle-Based Editing - Save time and draw more accurately, more quickly. TurboCAD® provides handles for scaling, but also for rotating, moving and aligning objects. Plus, the totally flexible design of the Conceptual Selector allows users to customize any visual and editing parameters available in the application (eg. Move, scale, or rotate). Window or Crossing Selection - Users can select objects with a mouse by using the Window or Crossing methods similar to AutoCAD®2018. Drag the mouse from left to right to invoke Window mode and select only objects that are entirely within the blue window. Drag the mouse from right to left to invoke Crossing mode and select only objects that touch the green Crossing window. Optimized for 3D Printing - TurboCAD Deluxe 2018 both reads and writes STL files, and writes 3MF files, the standards in the 3D Printing world. 3D Slice - TurboCAD®2018 makes it easy to slice, or divide, one or more 3D objects into new objects, by specifying the slicing plane. The 3D slice tool offers the ability to slice by line, by plane, by workplane, by surface, and by facet. Design Director - Organize, access, and explore design alternatives easily in the Design Director Palette. Create layer templates, light templates, camera templates and powerful layers for use on different designs. Layer filters, that are .dwg compatible, help you manage large, complex drawings with ease. TurboCAD Deluxe 2018 layers are AutoCAD®2018 compatible, including a layers dialog based upon ‘Design Center’. Colors, Brushes, Bitmap and Gradient Fills, and Transparency - TurboCAD® allows for hatch patterns and gradients to be layered with transparency. Custom bitmaps, such as your company logo, may be used as well. This empowers you to much more clearly and precisely communicate construction or assembly details. Industry Standard Files Supported - TurboCAD Deluxe 2018 nearly 30 industry-standard formats making it easy to share your work or as a companion product. 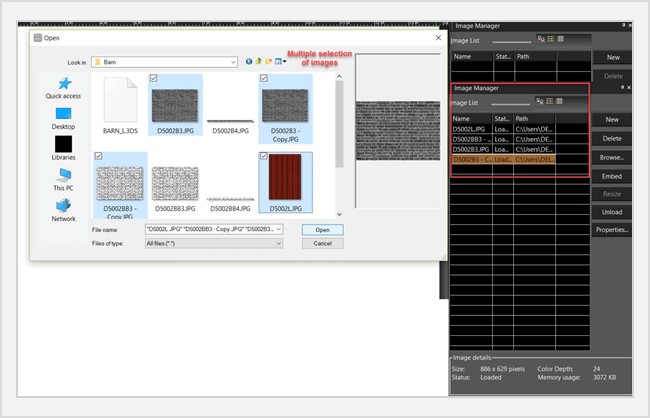 Improved AutoCAD DWG/DXF Read/Write filters - TurboCAD® has always offered excellent compatibility with native AutoCAD®2018 and AutoCAD®2018 LT files. Filter enhancements offers improved file sharing with AutoCAD® 2018. Xref Manager - Manage external references (Xrefs) like a parts catalog in your TurboCAD® drawing. 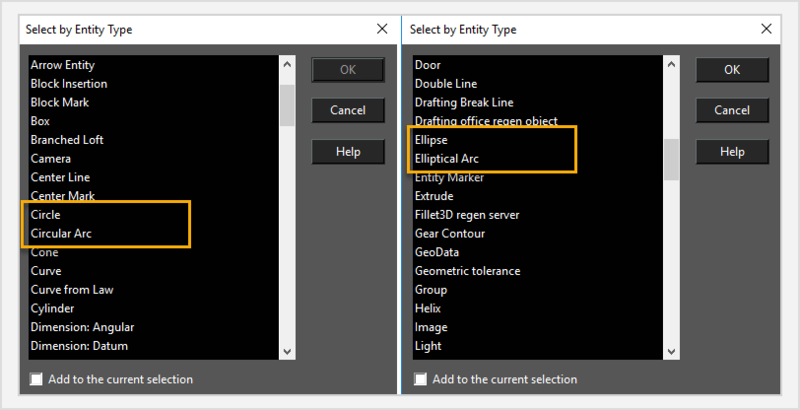 Xrefs can also be exported with DWG or DXF drawings for greater AutoCAD®2018 file compatibility. SketchUp SKP Read/Write Filters - TurboCAD® 2018 offers both Read and Write file filters based on the latest SketchUp APIs. Import detailed information from your SketchUp model into TurboCAD. Supplemental rendering, lighting and materials information is also imported. You can also convert your TurboCAD® models into native SketchUp® (.SKP) files for seamless import into Google SketchUp. 3D Printer Support - Export 3D models to manufacturing standard STL or 3MF file formats for rapid prototyping with 3D printers. 3MF Import/Export Support: TurboCAD Pro Platinum 2018 now supports Import/Export of the 3MF file type used in Manufacturing. 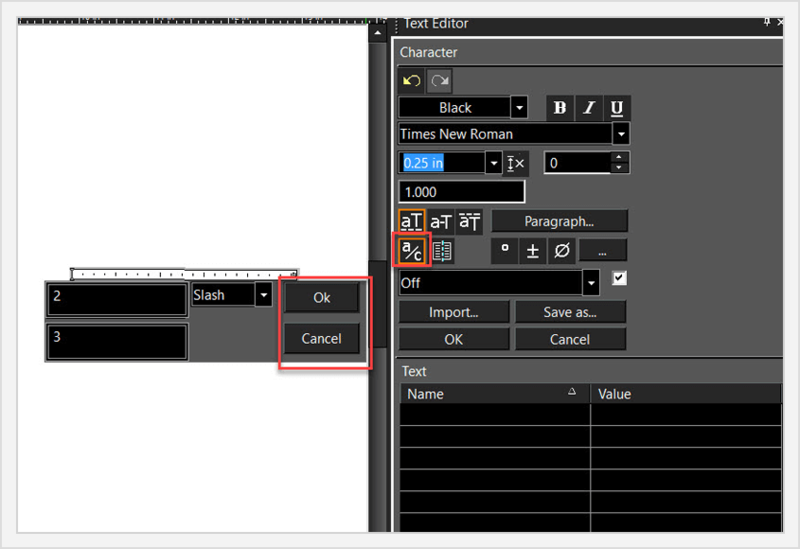 Improved usability by the addition of OK and Cancel buttons in the dialog box of the Insert Fraction in the Text Editor palette. Now Circle/Ellipse item of previous TC versions is separated into two cases: Circle and Ellipse. The same is for Circular and Elliptical arcs. Previous versions could not select Circles or Arcs separately. After assigning, the shortcuts displayed in the dragger's local menu. In addition to this, all other shortcuts will not disappear from the menu. Microsoft Windows 10, Windows 8, Windows 7, Windows Vista**, Windows XP** - 4GB RAM.